Cereal maker Kelloggs has announced that it will no longer advertise on Breitbart.com claiming that the conservative news site’s values are not the same as its own and it is not the only brand to pull its advertising. Make no mistake New Media is going up against the establishment and it’s success with the public is tempered by its vulnerability to attacks on its advertising revenue. Breitbart News is the new News sheriff in town and is expanding rapidly but the establishment who preferred the old News sheriff still have a few bullets in their arsenal. If they can’t beat the new News by being better they will instead try to beat it by crippling it economically. It is a bit like the ageing Sheriff with arthritis trying to get rid of his rival not in a gun fight but by talking the local store into refusing to sell him any supplies for his ranch. He might be the better gunslinger but how long can he last without any supplies? Advertising revenue is Whaleoil’s Achilles heel too, which is why we have introduced our new subscription model. Independent media are in the ascendance. Understand that. Recognise it. The impossible is happening. Fake news sites? Please. The major media are the biggest fakes the world has ever seen. They kept telling the American people Hillary Clinton was going to win the election; and in every way they could think of, they told the American people this was a good idea. Then, on election night, they, the media, crashed. The results came in. The media went into deep shock. As protests and riots then spread across America, the media neglected to mention a) they’d been bashing Trump because he said he might not accept the outcome of the vote, and b) here were large numbers of people on the Democrat side who weren’t accepting the outcome of the vote. A new campaign had to be launched. Suddenly, on cue, it was: Hillary Clinton lost because “fake news” about her had been spread around during the campaign. Fake news sites. That was the reason. These “fake sites” had to be punished. Somehow. 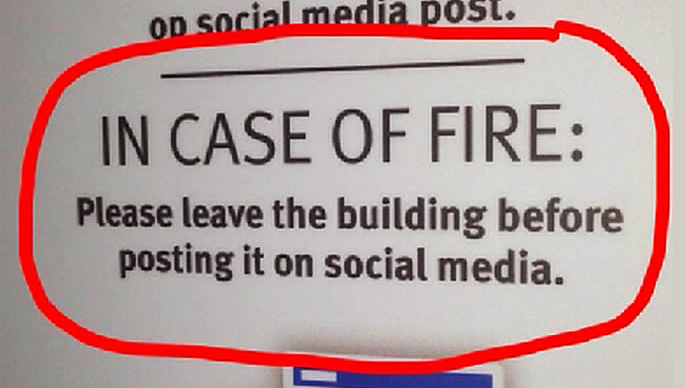 They had to be defamed. Blocked. Censored. Here is an excerpt from a list of “fake news” sites suggested by one professor. The list is circulating widely on the Web: Project Veritas; Infowars; Breitbart; Coast To Coast AM; Natural News; Zero Hedge; The Daily Sheeple; Activist Post; 21st Century Wire. Free speech? Bill of Rights? Never heard of it. █ The author of three explosive collections, The Matrix Revealed, Exit from the Matrix, and Power Outside the Matrix, Jon Rappoport was a candidate for a US Congressional seat in the 29th District of California. He maintains a consulting practice for private clients, the purpose of which is the expansion of personal creative power. Nominated for a Pulitzer Prize, he has worked as an investigative reporter for 30 years, writing articles on politics, medicine, and health for CBS Healthwatch, LA Weekly, Spin Magazine, Stern, and other newspapers and magazines in the US and Europe. Jon has delivered lectures and seminars on global politics, health, logic, and creative power to audiences around the world. 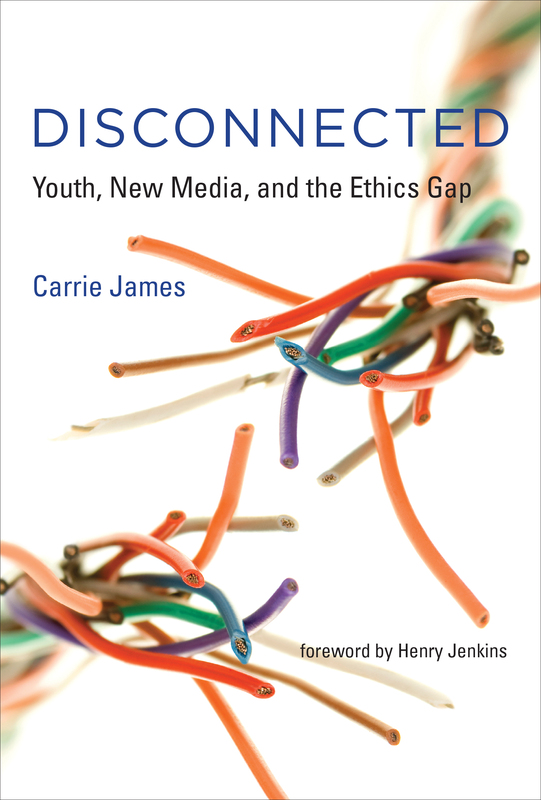 █ Carrie James is a sociologist and Principal Investigator at Project Zero at the Harvard Graduate School of Education. She was co-director (with Howard Gardner) of the Good Play Project, which collected the data that inform Disconnected. I missed it – the Otago Polytechnic press release of Thursday 21 March. 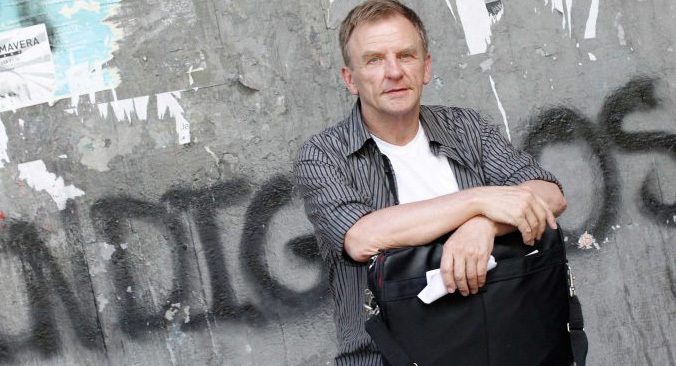 Iceland democracy activist and artist Hordur Torfason will be speaking at Otago Polytechnic’s Dunedin School of Art on Wednesday the 27th of March, as part of a series of nationwide talks on modern democracy. cont. By chance, at morning coffee a friend mentioned the speaking event and offered a ride there. Well. Not one speaker, but two —good fortune doubled. All Dunedin residents should have downed tools, pots and pans to attend. The two men from Iceland, Hordur Torfason and life partner Massimo Santanicchia, each delivered a session, with Santanicchia up first. They shared intriguing, calm, sensible statements about their lives and work, about the quality and countenance of human social interaction, within a gripping exposé of the capitalist drain and the peaceful revolution that occurred in their financially devastated homeland — with thoughts to urbanism, greed, discrimination, corruption, property speculation, sick governance, economic collapse, human rights, the lobby power of silence, noise and internet, and the Icelandic people’s hard-won solidarity for change. A compelling two-hour glimpse at a nation losing and finding itself. Iceland’s capital city, Reykjavik, is the strongest of mirrors held to Dunedin’s glaring errors of recent and pending ‘big’ construction, economic blunders, and forces of business and political corruption – in turn, Dunedin reflects our nation’s wider political and economic struggles. Originally from Perugia, Italy, Massimo Santannichia graduated from the School of Architecture in Venice in 2000 and holds an MA from the Architectural Association, School of Architecture in London, and an MSc in Urban Studies from the London School of Economics. He has been working as an architect and urban designer in Italy, the UK and Iceland. Over the last decade he has come to know Reykjavik intimately. Essentially an outsider in the tightly knit Icelandic society he has survived the downturn by moving from the firm Arkitektur to a plethora of internationally connected activity – delivering courses at the Iceland Academy of Arts since 2004 and coordinating projects and workshops with organisations such as the International Peace and Cooperation Centre and the Architectural Association. Santanicchia’s research interests include relations between the ecological, physical, social and economical aspects of cities. He has lectured extensively on the subject of sustainable cities and small scale urbanism in Zurich, Athens, Oslo, London, Venice, Riga and Reykjavik. According to Santanicchia, small cities (less than 500,000 inhabitants) host fifty-two per cent of the world’s urban population, yet they are profoundly neglected in the urban studies field. His presentation at the School of Art focused on the small city of Reykjavik (118,326 inhabitants), investigating how the planning system is trying to build a new urban strategy away from the world city model which was adopted until the banking collapse of 2008. In particular, Santanicchia noted Reykjavik’s receipt of its first ‘tall buildings’, a crop of extraordinarily bleak apartment developments set against the vernacular lowrise, 3-4 storeyed townscape, blocking existing residential views of the coastline – through to (now dead) speculative drive-to malls and commercial buildings [‘build it and they will come’] further problematised by the profound lack of public transport and infrastructural support to the (then) ‘new phase’ of development. Throughout the commentary, the physical and moral contradictions were purposefully illustrated by well-selected slides, quotations, and use of statistics. Santanicchia’s creative and socio-political approach to what ails, and demonstrations of how to foster community investment in sustainable environment, is the busy-work of a contemporary intellectual with a warm humanity, grounded in the discipline of practical economics working for the public good. He and students have won grants to set ‘in place’ temporal urban interventions that sample ways forward for the local community, utilising vacant and degraded public places; demonstrating creative re-design / re-forming of the opportunities lost to the blanket of capitalist-grey asphalt – making places that create “trust” between institutions and among people. Copy of Santanicchia’s presentation slides and readings will be made available through Professor Leonie Schmidt (Head, Dunedin School of Art). 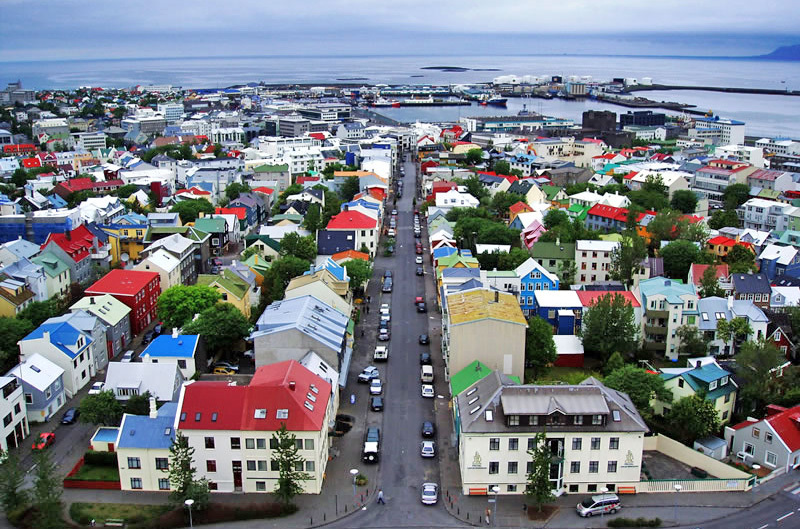 ● In 2008, Iceland’s economy shrank 90%. The economy devalued by more than 100% in one week. 1000 people emigrated which kept unemployment low. ● “Big-fix” solutions don’t work in a small city. ● The DANGER of “one idea” …. “it is NOT a plurality”. ● “The WORST is what was built.” Flats and parking lots. 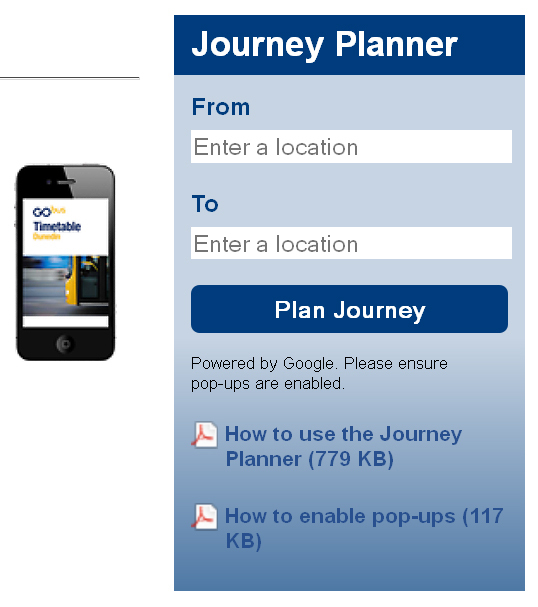 No public transport. No sharing. 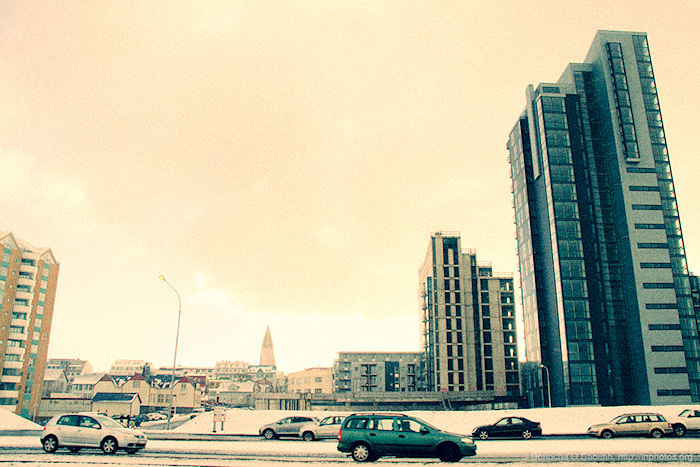 7000 apartments at Reykjavik are redundant. 2200 properties have been acquired by the banks. ● Post-crash, Iceland’s birthrate has increased and children are happier. ● “Trust is about participation.” Better institutions, social justice, equity and public/private relationships. ● Zurich: They used 4 hot air balloons to indicate the height and bulk of a proposed tower development, prior to public submissions being received on the proposal. Auckland’s Wynyard Quarter has won high praise from Reykjavik-based architect Massimo Santanicchia for the “observable scaffolding” it is providing for an area in transition. Santannichia knows a thing or two about making waterfront spaces more accessible from sparking a design revival at the harbour’s edge of the world’s northernmost capital last year, within the context of an award-winning programme known as the Meanwhile projects. Santanicchia has also been drawing audiences to hear his views on the ways in which Iceland’s largest city is embracing a more human scale of urbanism in the wake of the financial crash. Hordur Torfason followed with a punchy impassioned delivery, spoken with a run of crowd scenes and peaceful protest images repeating behind him. Describing post-crash Reykjavik as a scene of ferment and healing, Torfason took us through specific mechanisms for the peaceful revolution that has worldwide and local application – hear that, Dunedin. Shortly, Torfason will head to workshops in Cypress. The following interview (2011) covers the gist of his lecture. A multi-talented individual, he told his story from the age of 21 (1966), of how he grew the personal confidence and expertise (“proving talent”) to lead the people of a city and a nation to overturn the Icelandic Government and jail the bankers. He said Parliament has almost lost ‘all respect amongst all Icelanders’. Nevertheless, there’s a bill in passage to make Iceland a Safe Haven for journalists, whistleblowers, international media – protected by law. ● He maintains the role of the artist is to criticise, that criticism is a form of love: “We have to use reason, cultural roots, feelings and the precious gifts of life – our creativity”, to ensure human rights aren’t undermined by economic growth and politics. ● “One big party owns one big newspaper for Iceland.” According to that paper there was no crash. ● “Stick together and use the internet.” Make Plan A, B, C, D, E. Protest by peaceful revolution v Arrogance. ● Just 25 people from around the world are responsible for the crash, and one of them was the leader of Iceland’s national bank. The 2008 economic collapse of Iceland would send Hordur’s life path in a whole new direction—one that would take him beyond the bounds of even his own country. FREE wireless internet in Dunedin …now that’s wicked! Dunedin, New Zealand. 12 November 2010. Wireless Internet Connections (WIC NZ) Ltd launches free wireless access in Dunedin. WIC NZ Ltd introduces its free wireless service in Dunedin under the Wicked Networks brand. Wicked Networks has been operating since March 2010 and has over 2300 registered users regularly using the network of around 30 Wi-Fi (802.11N) hotspots across the city. The service provides a registration-based, advertising-supported portal with high-capacity access to local services and shared Internet capacity upstream. Wicked Networks was officially launched by Clare Curran MP at 5:30pm Friday 12 November 2010, at the Centre for Innovation, 87 St David Street, Dunedin. Wicked Networks provides an easy, low-cost means of access to information and services by locals, business users and visitors alike. The coverage, capacity and user base of the service are all scalable at incremental cost. Wicked Networks has grown at the rate of 100 new users per week and delivers around 150GB of monthly traffic. The Wicked Networks infrastructure provides an open-access platform to support services operated by multiple service providers. WIC NZ maintains robust interconnect arrangements with other local operators for high-capacity data exchange at low cost. Wicked Networks is used by Otago Polytechnic to extend the range and coverage of their campus wireless network across the city. Wicked Networks is used to support the delivery of augmented reality content in a novel project supported by the Dunedin City Council lndustry Project Fund. Wicked Networks welcomes and encourages other operators to adopt the service and willingly engages with any third-party provider wishing to operate differentiated services on the open-access platform. • ability to cooperate with existing wireless providers. The key to the success of this platform is the inclusiveness provided by the cooperative interconnect arrangements with other providers. Any service provider can broadcast their wireless service identifier (SSID) over the common infrastructure and have their traffic delivered at a designated exchange point. Usage of the Otago Polytechnic campus wireless service has more than doubled since the introduction of the additional coverage on Wicked Networks. The open access component was designed to stimulate innovation and we are delighted to see this happening already. The costs of the Wicked Networks service are met by advertising revenue on the login and registration portal pages that appear in a Web browser, and from the interconnect arrangements with third-party providers.